Product #17527 | SKU BOTTLE CAPSULE B2 | 0.0 (no ratings yet) Thanks for your rating! The Blue B2 Figure-8 Bottle Cap is an interchangeable capsule for Blue Bottle and Bottle Rocket studio microphones. A variety of interchangeable capsules are available; each with its own frequency, tonal and pickup pattern characteristic. The B2 is a large-diaphragm condenser capsule with a figure-8 polar pattern that provides accurate audio reproduction at both sides of the capsule. 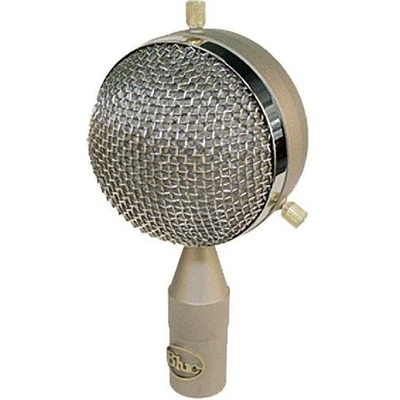 The B2 also features a big, warm, vintage ribbon microphone quality. Suggested applications for this capsule include vintage saxophone, brass, guitar, or vocal sounds, jazz ensembles and horn sections, muted trumpet, flugelhorn and other low brass instruments, clarinet, overly bright or "edgy" instruments, room miking, acoustic bass, cello and other bowed string instruments and much more.